Musashi Bulk Protein Mass Gainer is a nutritionally balanced supplement containing Instantised Whey Protein Concentrate (WPC) and Instantised Whey Protein Isolate (WPI), two high quality protein sources which are a naturally abundant in the 20 Amino Acids the body needs to function including the Branched Chain Amino Acids Leucine, Isoleucine and valine which aid in the building and repair of muscle tissue. Musashi Bulk Protein contains a blend of short, medium and long chain carbohydrate polymers to ensure a sustained release of energy into the body and at the same time assisting in maintaining an anabolic (muscle growth) environment whilst limiting muscle catabolism (muscle breakdown). When looking to "BULK" up and increase muscle mass, the body requires sufficient amounts of both protein and carbohydrates. Musashi Bulk contains a 50:50 protein to carbohydrate ratio ensuring a steady release of carbohydrate into the system to be burned for energy as well as adequate protein for muscle growth. Musashi Bulk is fortified with amino acids which enhances the protein content by increasing bioavailabilty of the amino acids to the tissues requiring these nutrients. Musashi Bulk contains the the digestive enzymes Bromelain and Papain to aid healthy digestion and maximise the absorption of nutrients. Each serve 60g serve of Musashi Bulk Protein Blend provide 25% of the daily requirements of vitamins and minerals essential for general health and wellbeing. This new and improved Musashi Bulk formula is low in fat and tastes amazing! Mix 60g (approx. 4 rounded scoops) with 500ml of low fat milk or 300ml of water in a shaker. Shake well as product may have settled. 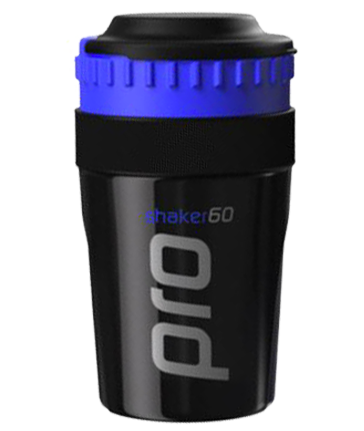 Promote weight gain; increase muscle mass; aid growth and repair of muscle tissue; promote an anabolic environment and limit catabolism; provide a source of energy; replace a meal. Individuals wishing to gain weight; individuals with a fast metabolism (thin/lean build); adolescents; the elderly; sports people requiring a shake that provides a balanced nutritional profile; body builders; endurance athletes who burn a lot of energy and therefore require extra carbohydrates (e.g. marathon runners, triathletes, cyclists, etc. ); growing athletes; those with busy lifestyles who skip meals. Instantised Whey Protein Concentrate, Milk Solids, Maltodextrin, Instantised Whey Protein Isolate, Dextrose Monohydrate, Musashi Bulk Vitamin and Mineral Blend (Calcium Phosphate, Magnesium Carbonate, Potassium Phosphate, Ferrous Gluconate, Zinc Gluconate, Vitamin C (Sodium Ascorbate), Vitamin E, Vitamin B3 (Niacin), Vitamin A, Vitamin D3, Vitamin B12, Vitamin B2 (Riboflavin), Vitamin B6 (Pyridoxine HCl), Vitamin B1 (Thiamine HCl), Folic Acid, Potassium Iodide), Flavour, Vegetable Gum (412), Food Acid (330), Sweetener (955), Bromelain Extact, Papain Extract. Product contains dairy and is made on equipment that also produces products containing soy. Musashi Bulk should be used in conjunction with a nutritious and complete diet.